Proudly serving Fulton, Callaway County, Jefferson City, Columbia, and Mexico, Missouri for more than 50 years! Sometimes, he or she may want to measure the amount of tears in your eyes. A thin strip of filter paper placed at the edge of the eye, called a Schirmer test, is one way of measuring this. Some people with dry eyes also experience a "foreign body sensation” – the feeling that something is in the eye. And it may seem odd, but sometimes dry eye syndrome can cause watery eyes, because the excessive dryness works to overstimulate production of the watery component of your eye's tears. If your home or office has air conditioning or a dry heating system, that too can dry out your eyes. Another cause is insufficient blinking, such as when you're staring at a computer screen all day. If you are considering LASIK, be aware that dry eyes may disqualify you for the surgery, at least until your dry eye condition is successfully treated. Dry eyes increase your risk for poor healing after LASIK, so most surgeons will want to treat the dry eyes first, to ensure a good LASIK outcome. Your Jefferson City optometrist may recommend Ortho-K until the dry eye is treated. This goes for other types of vision correction surgery, as well. Although dry eye is common, not all patients share the same symptoms. TearLab helps our team to monitor your condition for changes over time. The temperature- and pressure-controlled cabin of an airplane creates a very dry environment that can easily take its toll on your eyes. Do you suffer from itchy, stinging, swollen or bloodshot eyes? The two most common reasons for eye irritation are dry eye syndrome and eye allergies. We’ll evaluate your eyes and recommend the most suitable dry eye treatment to bring you comfort. 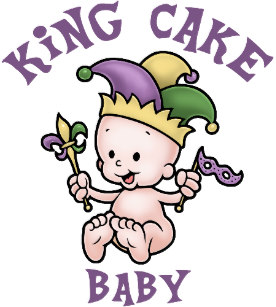 You found the King Cake Baby! Email us and tell us the page on which you found it, and you'll be entered into a drawing for our Mardi Gras gift basket giveaway.